Wisdom, they say, is wealth. One thing I respect deeply about African culture is the treasure of wisdom our ancestors handed down to us. From sayings on wisdom itself, to judicious encouragements, warnings and pieces of advice on patience, unity, respect, love, family and community, one cannot help but admire the wisdom of our ancestors. From time immemorial, African proverbs have been used to convey messages during important conversations. It is believed that such sayings come from the wise and only the wise understands it. Over the years, it has become associated with the wise, the elderly and those who pride themselves in the knowledge of these proverbs and, more often than not, use them to give advice to children, the youth or even their peers. As a young man in my mid-forties, I cannot claim to be an elder in a country where politicians in their late fifties claim to be in the youth bracket. (Apologies to President Ogwanfunu.) Although there are a few strands of grey in my hair and beard, I cannot by any stretch of imagination claim to be an elder in this country. But that does not disqualify me from using wise-sayings from our ancestors to advise someone in my peer group even if he responds to the ‘honourable’ title. Hon. Isaac Adongo is clearly a man on a mission. He is on a mission to use all arsenal at his disposal to discredit the ruling government. Considering the type of political system we run in this country, and how we do our politics, I will not blame Adongo too much. I will not blame him much because many others have done worse. But, you see, the fact that some have done worse and went scot-free does not mean we should be silent and allow the sheer political idiocy on display to continue. 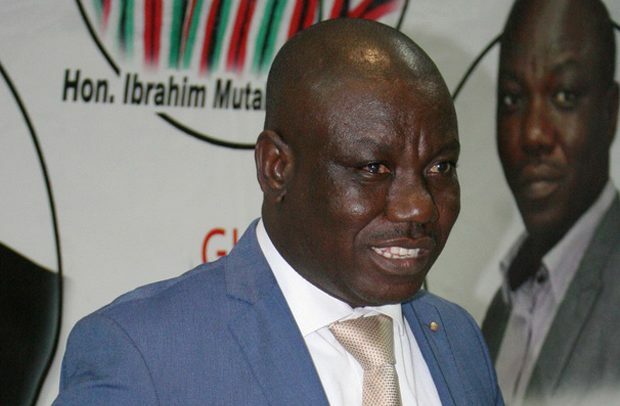 Adongo’s uncalculated move and the persistent noise-making, following the collapsed banks saga, have proven the truism in the saying that ‘only a fool tests the depth of a river with both feet’. To him, it was politics as usual. He felt the collapsed banks saga had afforded him the opportunity to play another mischievous political game. No wonder he went shouting his voice hoarse that his party, Zu-za, would return the collapsed banks to the original owners when their party eventually returned to power. The proposition is very bizarre coming from a man holding LLM (Master’s degree in law). Many were those who were surprised at his grandstanding boycott of the in-camera hearing of the collapsed bank saga by the finance committee of Parliament. I was not surprised because I expected something of the sort. Before the hearing, I told a friend there would be drama if Hon. Isaac Adongo or Hon. Dominic Ayine happened to be part of the composition of the committee. My reason is very simple: The two are attention seekers and would do anything to attract the attention of the media. I was proved right, wasn’t I? But I’m glad to learn that he is a lone ranger in this futile and disgraceful venture. It is refreshing that his party has allowed good sense to prevail in this matter and left him to go on a self-destructive expedition. Frankly, I sometimes wonder how some of our so-called honourables think. They erroneously think they are the most knowledgeable in the society, forgetting that any idiot can become a Member of Parliament (MP). All that the idiot needs to do is to buy party delegates and become a parliamentary candidate in his party stronghold. And bingo, the idiot walks majestically to the House of Honourables! For sure, Adongo is learned. To be a holder of LLM is no mean achievement. But, as I said in an article some time back, book knowledge without ‘efie nyansa’ is tantamount to stupidity. It is the reason I feel saddened by the fact that such a fine brain has been corrupted by politics. Having been disowned by his party, I wonder how Adongo would be feeling by now. I’m sure he has finally realized that a roaring lion kills no game. If he is the reflective kind, he would regret his actions and seek reconciliation with his party. But if he is the stubborn type, he would continue his foolhardiness until sheer disgrace visits him.